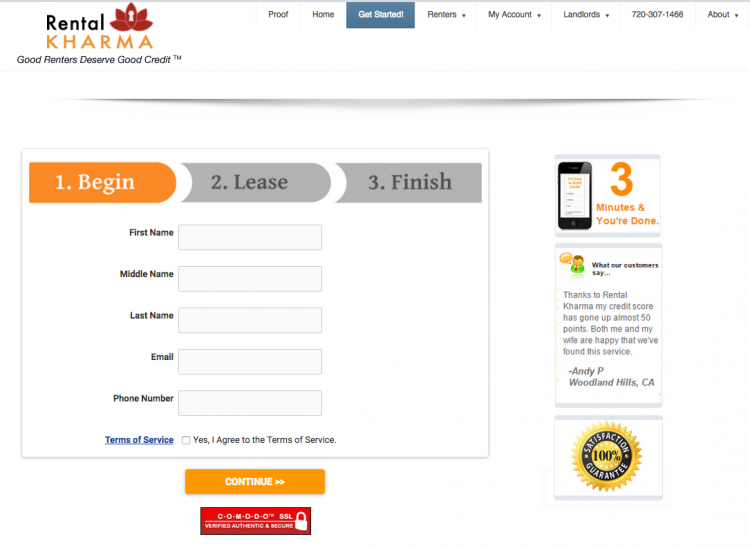 Rental Kharma reports rent payments to a credit bureau on your behalf for a fee. Many people assume rent payments are already part of their credit reports, but that’s almost never the case. The credit-scoring giant FICO says rent is an entry — called a “tradeline” — on less than 1% of credit files. Yet there’s some evidence that these new rent tradelines can be a steppingstone to achieving the kind of credit scores traditionally used to, say, qualify for a car loan or a mortgage. A year or two of rent payments can create a credit history without the lump sum of cash required for a secured credit card or the additional monthly payment of a credit-builder loan, two common ways to build credit history. Credit reports are the raw material for credit scores. Calculating rent into your credit scores is an idea that is gaining traction. VantageScore considers it, and so does FICO 9, the latest version of the FICO score; the trouble is that earlier versions of FICO are in much wider use than the scores that factor in rent. It’s possible that having rental information in your files could improve your credit profile, particularly if you are still relatively new to credit. To review Rental Kharma, NerdWallet gathered six data points, reviewed the online application process and pricing information, interviewed executives at the company and compared its services with others that serve the same customers. You have a limited credit history and want to lengthen it. It will depend upon which credit score a potential lender uses to evaluate you. You have been using credit responsibly for more than six months. If so, reporting your rent is unlikely to significantly change your score. Credit card payments and credit-builder loan repayments, when reported to credit bureaus, are reflected in all credit scores. What does Rental Kharma cost? Rent appears as a tradeline on your credit report; it might appear classed as a “rental agreement” or “open” account, depending on which credit bureau supplies the information. That differs from the “revolving” (credit cards) and “installment” (loans) tradelines traditionally used to calculate credit scores. Cullen Canazares, co-founder and CEO of Rental Kharma, says that the addition of rental data can establish a credit score for a previously unscorable consumer within a couple of weeks. The company can report a payment history, looking backward, of up to two years; if you’ve moved around, leases will appear as multiple tradelines. (Even if you haven’t moved, if you have signed more than one lease, it’s reported as multiple tradelines.) Canazares says the addition of back rent payments increases the average “age of accounts,” which is factored into your credit score. The company helps its users leverage their new credit scores by pointing out which credit card issuers accept the scores that show rental history. Applying for those credit cards and using them responsibly can further build a credit score. Canazares says his company has helped about 5,000 customers to qualify for major purchases, such as cars and homes. Some rent-reporting services actually handle your rent payments on behalf of landlords; that is, you write the check to the service, which deducts its fee, pays the landlord and reports the payment to one or more credit agencies. But Rental Kharma is not a payment platform. The company itself does not touch your rent money; instead, it relies on landlord reports to verify payment of rent, says business development manager Ted Taggart. You don’t have to live in a big apartment complex to use Rental Kharma. Even an arrangement as informal as living in your grandparents’ basement can boost your credit score so long as your landlords can verify that you are making (or have made) payments. If your landlord doesn’t cooperate, your Rental Kharma fee will be refunded. It’s also simple to sign up online. Rental Kharma reports to only one of the three major credit-reporting bureaus, TransUnion. It doesn’t currently report to Equifax or Experian, though Canazares says the company is in talks aimed at adding both. That limits Rental Kharma’s impact only to credit scores derived from data on a TransUnion credit report. When you consider that the most commonly used FICO formulas do not factor in rental payments at all, you’re affecting only a small number of the credit scoring models a potential creditor might use. Rental Kharma educates its users about which credit card issuers accept the scores that take rent into account — the FICO 9, the newest score model, and the VantageScore 3.0. Since credit card accounts are a factor in all credit scores, a Rental Kharma customer would likely need to report rent, then get a credit card or installment loan to have the robust credit file needed for big purchases at attractive interest rates. There is an enrollment fee of $25, according to the Rental Kharma website, followed by an ongoing monthly cost of $6.95. For a year, that’s $108.40. A roommate or spouse can also get rent reported for an additional $2 per month. For back-rent reporting, Rental Kharma charges $5 for each month it verifies. For a year of history, that’s $60. Payments are made via either credit card or debit card. Rental Kharma says it has “bank-level security” and uses double encryption on all personal data. Members get a year of free credit monitoring, including credit reports and scores, through Smart Credit. No contract is required, Canazares says, and members may cancel by email or by phone. What would my total costs be for a year of service, including any setup fees or fees for previous rental history? Do you provide free access to credit scores, and if so, which score(s)? How soon should I expect the information to appear on my credit report?